IT hardware manufacturers are expected to invest $1 billion in the next 12-18 months if duty structure announced for products like routers, set-top-box for internet etc is implemented in time. “The change in duty structure will encourage manufacturing of consumer premise equipment like modems, routers, digital video recorders, set-top-boxes and IP cameras. We expect a billion US dollars worth of investment inflows for their local production,” MAIT vice president Nitin Kunkolienker said in a statement. He said that prices of these products would go down by 8% in the first year itself and by 10% over 18 months. 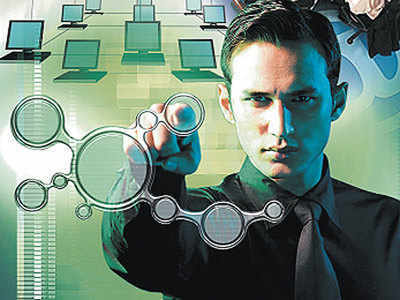 Government has announced to impose tax on some IT accessories that are in huge demand while waived duties on parts or components used to make them. The Manufacturers’ Association for Information Technology (MAIT) has, however, expressed concern on government meeting only partial demand of industry. “Budget 2016 has met our demands partially and will help the Indian ICT industry move from assembly to the next level of manufacturing. However, certain products have been missed out, most notably laptops and notebooks and populated Printed Circuit Boards,” MAIT executive director Anwar Shirpurwala said. He said that in order to create an effective IT-ESDM manufacturing supply chain, it is very important to exclude populated PCBs from the purview of nil rate of duty, that is, the levy of 12.5% counter-veiling duty and 4% special additional duty, where such differential duty benefit is currently extended. “We are disappointed with announcement of R&D incentives reducing because this move could be detrimental in building India as an innovation hub. I strongly urge the government to reconsider this move, as any restrictions on the R&D ecosystem are likely to decelerate innovation and restrain the ambitious Make in India and Digital India vision,” MAIT president Debjani Ghosh said.